You'll be £15.99 closer to your next £10.00 credit when you purchase Up in Harm's Way. What's this? Order within the next 6 hours, 21 minutes to get your order processed the next working day! 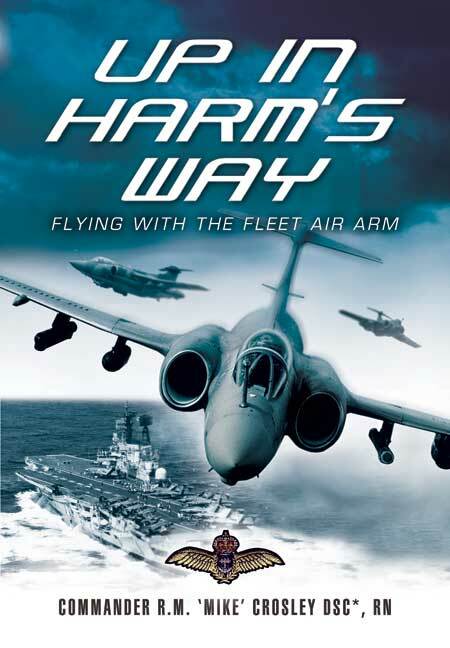 This book covers the author's flying career from the finish of World War II until his final appointment as CO of the Naval Test Squadron at Boscombe Down. Having had an outstanding wartime record 'Mike' Crosley became heavily involved with the introduction of Britain's first carrier-borne jet aircraft. The book explains how modern techniques, such as the angled flight deck, steam catapult and decklanding mirror sights were developed and tested. At Boscombe down he developed the 'hand's-off' launch technique for the Buccaneer which saved it from probable cancellation at a very difficult time for British naval aviation.